The Supervisory Board of SOMO has a supervising responsibility. Read more about its members. 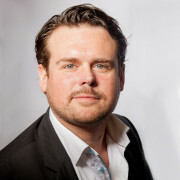 SOMO has a titular management team that is responsible for the daily management of the organisation, presided by the Managing Director, Ronald Gijsbertsen. For a current report of SOMO’s activities and financial reporting, please download the most recent Annual Report. As of 1 January 2016, SOMO will report along the IATI guidelines on a quarterly basis. Go to the IATI-reports. SOMO is designated as a Public Benefit Organisation (ANBI in Dutch). As a result contributors benefit from tax advantages. Read more.